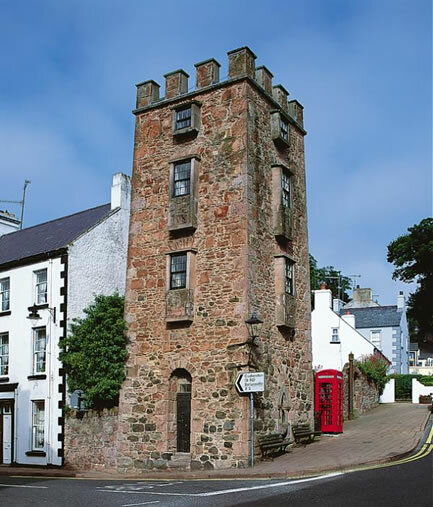 Cushendall lies at the foot of the River Dall which flows through the village, and it is an ideal base for visits to cliffs, local towns and villages, coast and countryside, as well as being close enough for a day trip to either Belfast or Derry. 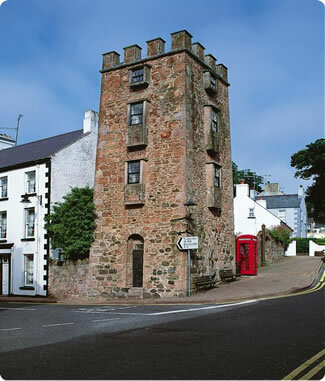 The Curfew Tower (built in 1809 as a prison and commissioned by Turnley the one time owner of Cushendall) stands at the centre of the village. Nowadays it's owned by the pop group “The KLF” who allow local and international artists and musicians to stay there and enjoy the village. By day the village is peaceful and tranquil, by night you have a choice. Visit the Pubs Hotels and Restaurants page to find out more. Be sure to Visit the Layde Graveyard one of the oldest and most important historical sites in the Glens of Antrim. 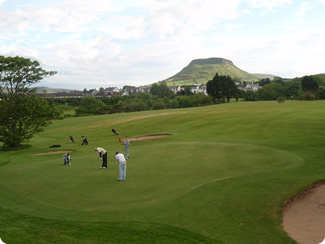 The Glens of Antrim have a unique tradition of hurling. Described as “slightly safer than war” and more recently by Bruce Willis as American Football with sticks, it's a fantastic spectator sport, and the skill and bravery of the players and the speed of the game is astounding to anyone watching their first match. Cushendall has over 100 years of hurling history with Cushendall Ruairí Óg one of the most successful Antrim teams in living history. If you're staying and Cushendall are playing, make sure that you pop down to watch the match. In August the streets are filled by revellers at the “Heart of the Glens” festival, the climax of which is another Guinness World Record breaking attempt by residents and visitors in the traditional Irish dance, the “Waves of Tory”. A “fun” run up Lurig mountain passing in front of the holiday cottages, is another of the regular events, as well as a local fair and many other events for young and old. It's different every year and highly recommended. Cushendall and the Glens of Antrim are associated with many Irish Legends and you may see four swans at various places around the village, this is a reference to the Children of Lír who were turned to Swans by their wicked stepmother. Ossian's grave is also in nearby Glenaan, said to be the resting place of the legendary warrior and son of Finn MacCool. The stories of Finn MacCool (Fionn MacCumhaill) date back may hundreds of years, and there are many modern interpretations of the myths, all of which make for great read. It's easy to see how the dramatic and varied landscape of the glens inspired the legends of times gone by.